The SKrAPr GrILLr, Plus a Giveaway! Today’s review is about a new product for your grill called The SKrAPr GrILLr. 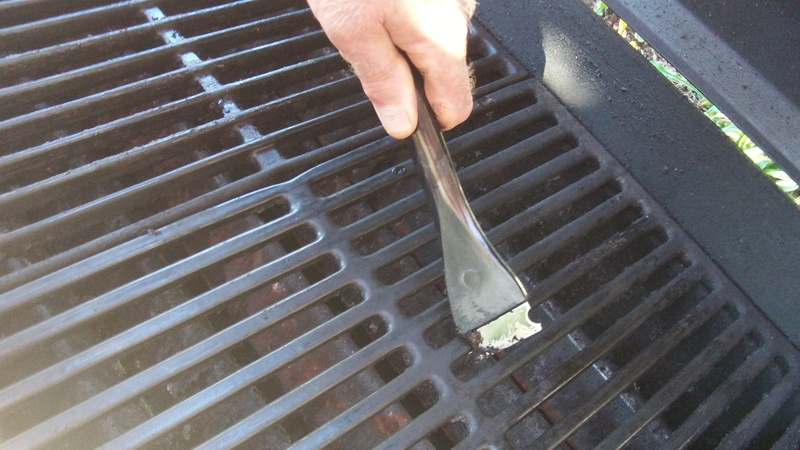 The GrILLr is designed to clean your grill grates, but is not intended to be a replacement for your regular Grill BBQ Brush. It is one that you would use in between grill grate cleanings when you really want to give your grates a thorough cleaning. Another important thing I want to point out is when using this product do not use it on a hot grill grate. When I received The SKrAPr GrILLr and it’s little companion The GrILLr Jr. (miniature all-metal version sized to fit on a key chain) in the mail from Annette Penney, the Social Media Director for The SKrAPr, a light bulb went on in my head about how I wanted to do my review. I thought to myself I am going to need to go to my parents house for this one. I have this little thing called OCD when it comes to my grill, lol. If you saw my grill you would think I never use it. Now my father, on the other hand, keeps a dirty grill. My wife, daughter and I cookout most weekends at my parents house and I knew my fathers grill grates were in need of a GrILLr size cleaning! Once I opened the GrILLr from it’s package I removed the grilling grates from my fathers Weber Gas Grill to take pictures to show what looked like a years worth of grease build-up. As you can see in the pictures the grates were quite dirty. I then started scraping away with the GrILLr and it worked like a charm! One of the many great things about the GrILLr is the grooves in the Cutlery-Grade Stainless Steel Blade that really allow you to get in the hard to reach places. 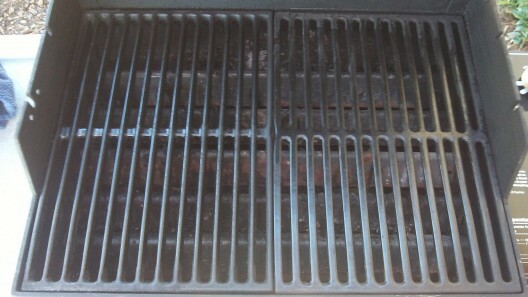 After ten minutes of cleaning the grates with the GrILLr they were all cleaned up and ready for our next cookout. I was really happy to see that the GrILLr is anti-bacterial and dishwasher safe. It also has a Lifetime Warranty. If you are looking for the ultimate cleaning tool for those in between thorough cleanings, then this is the tool for you! The company will be launching a new and improved layout on their website which will include more information on The SKrAPr GrILLr. You can visit their website at http://www.theskrapr.com/. You can also find them on Facebook and Twitter and YouTube. You can find a great deal on the SKrAPr GrILLr here . A big thank you to Annette Penney for sending me The SKrAPr GrILLr for a review! She was also kind enough to include an extra one for us to give away to our awesome readers! Please leave a comment and tell me how dirty your grill grates are and why you deserve to win this great product! The winner’s name will be announced on our blog, random # generator is used to pick the winner. The contest ends on Friday 12pm EST! I try to keep my grates clean, but stuff builds up, especially after a big cook. The SKrAPr GrILLr looks interesting. Jay, you did an outstanding job with this product review of The SKrAPr GRILLR. You were very good at demonstrating exactly how The GrILLr is used and wow….. you did a great job with that grill – it sparkles! Thank you for this review, we really appreciate it. We will let you know when our new website goes live. It’s going to be great! Thank you Annette! Enjoyed doing my review on it! I have a little OCD when it comes to having a clean grill, so it was great to get to clean my parents dirty grill grates. I am sure it won’t be long before I get to use it again on their grates 😉 Thanks again and can’t wait to see the new website! I’m the camp chef for our girl’s week at the lake and this would be a great addition to my camp kitchen. My grill does get a bit dirty when we grill all week, but I do what I can to keep it ready for the next night’s dinner. I am interested in seeing it in action for myself and hope to come across someone using it soon! Good Luck with the contest Wayne! I try to keep mine clean, but the build up happens…and with multiple grills, this would be a very helpful tool! 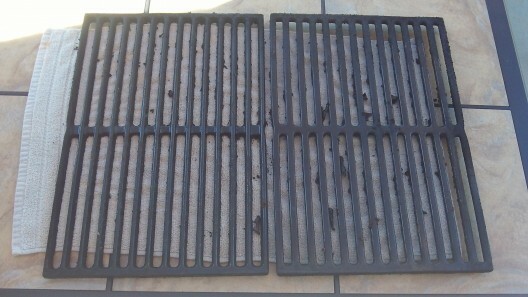 After a long grilling season, my grates could use a good scrubbing. The SKrAPr looks like it could be the proper tool for the job. I can tell you first hand the GrILLr is a WINNr, there is nothing BETTr! Jay your reviews are a fantastic addition to this website. Thanks a bunch Fred and thank you for all your support! Look forward to meeting you soon when you make the trip down South! Have a great rest of your week! I think my grill is beginning to look a lot like your parents before picture. Was just thinking the other day I needed to try & find something to thoroughly clean in between the grates. This looks like its exactly what I need. I try to keep mine clean, but all that cheese I but on stuff keeps gumming up the grates. Have a good time in tennessee. Looks like a great tool for getting into all the nooks and crannies that a brush would miss. Really good to know the blade is cutlery grade stainless and that the whole SKrAPr is dishwasher safe too. 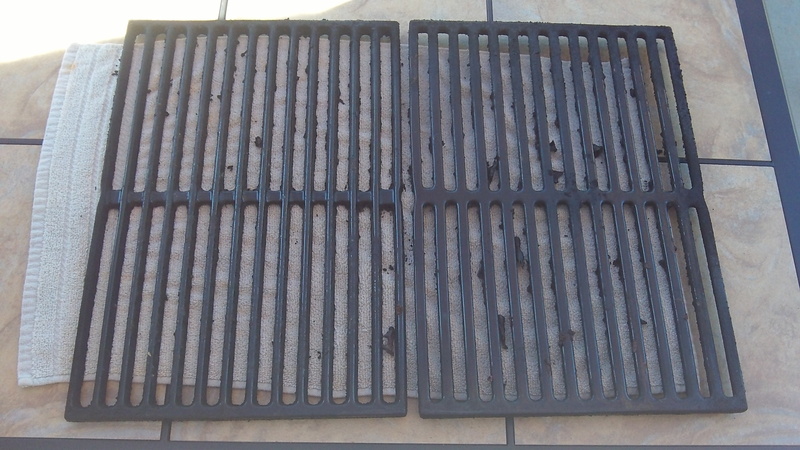 As to how dirty are my grates? I keep the gasser and Kettle pretty clean (I’m not opposed to a little build-up for “flavor”), but I could really use one of these babies on my Weber Smokey Mtn! I get lazy about cleaning it’s grates, especially the bottom set. Thanks Brian! Glad you liked my review! First off, nice review Jay! I keep my grates pretty clean also… the part of my grills and my offset that needs to be scraped clean is the bottom where all the grease collects. these tools look like the would work great for that also! Thanks so much Troy! It’s a great cleaning tool to have around! Nevermind the free one. I’m buying one. Excellent review Jay. Thanks ALLI! See you guys at The Jack Saturday! 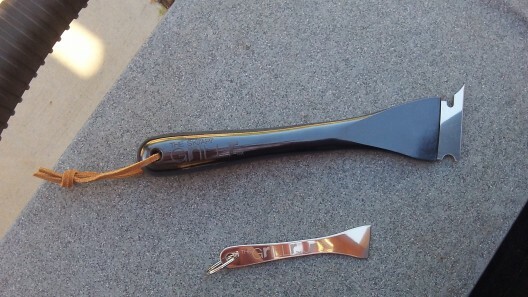 I try to clean my grill with a brush but cannot allways get between the grates and get buildup.Sometimes I will get grease flare ups.This tool sounds great to fix this problem. Thanks Courtney! So glad you liked my review! It’s a great cleaning tool to have! Thanks again! Clearly I need this gadget. I have three grills and a smoker — they all need cleaning. I have two Webers, a 22.5 inch and an 18.5 inch (thanks, Brian! ), and Char-Broil gas grill. You should see my kitchen sink when I clean up after a good day of grilling. And when I smoke meat? The clean up is insane. So The SKrAPr GrILLr would be a life saver for me. The Winner of The SKrAPr GrILLr picked by the True Random Number Generator is Troy Wells! Troy please email me at princeofq@bbqsaucereviews.com with all your mailing information so I can pass it along to Annette Penney from The SKrAPr. Thank you everyone for all your comments! Have a great weekend! Great review! I have the dirtiest grill. I try to keep it clean, but I never have it to the level I want. Also, my wife has a tendency to cook and not clean it at all. I think it’s time to look for help. Thanks for the link. Looks like a neat tool beats my screw driver…brushing just does not get it done.